To help prepare you for your switch to all-digital tv, Iowa Public Television in continually adding resources to our Web site and on our air. Digital TV Q&A: An Iowa Journal Special aired Thursday, November 6, and is available here on our site. You can also see segments, answers to common questions, and other resources there. In addition, this special program will be broadcast again Monday, November 24 at 8 p.m. You can call in that evening to have your digital television questions answered by IPTV engineers and staff. And of course, you can always email Iowa Public Television at programming@iptv.org or iowajournal@iptv.org, or you can call us during business hours at (800) 532-1290. We have staff ready to help you with your questions, from basic installation to reception issues and more. We want to make this transition as smooth as possible. If there's anything we can do to help, please let us know. No reason to wait - start watching DTV now! By now, you have heard a lot of messages about digital television and what you need to do to prepare for digital-only broadcasting. In fact, you're probably getting tired of all those messages! But it’s not enough just to know – it’s important to act now to make sure you’re ready. And besides, you can watch digital programming right now, so there's really no need to wait. Set up your digital television, or connect your converter boxes, and make sure you receive the all channels you expect to see. We hope you find you’ll see even more. If you can’t get a digital signal even with the right equipment, contact your local retailer. They can help you determine if your antenna needs an upgrade too. Better to find out now if you need to get on the roof to install a new antenna than in January! And feel free to contact us with questions or to schedule an information session. We want your transition to digital television to be as smooth as possible. I have been on the road a lot doing DTV information sessions across the state of Iowa. As part of the presentation I bring along my Philips Silver Sensor antenna and few different converter boxes and generally hook them up to an analog television so I can show the attendees how the boxes work. The reason I bring along the Silver Sensor is because it is small and easy to set up but I frequently have people ask me about it because a number of them have tried traditional rabbit ears and are not entirely satisfied with the results. Many folks marvel that the Silver Sensor is not amplified and yet it works in areas where their amplified rabbit ears don't. I am often asked where to acquire this antenna and if I recommend it and it is those questions that I would like to answer in this message. First, a simple statement of fact. Indoor reception in inherently difficult and unreliable. The reason for this is that in order to just get to the antenna, the transmitted signal has to pass through walls and windows and all of the trees and anything else that is a ground level just to get to the antenna and all of these items degrade and disrupt the signal. In addition everything in the room with the antenna is a potential source of reflection which further degrades the receivability of the signal. On top of that add to the mix that anything in the room that moves, like the viewer, the kids, the dog or the cat will also dynamically disrupt the signal and further degrade received service and unlike analog television where the picture on the screen gives you a clear indication of how poor the incoming signal actually is, digital gives no indication until the decoder realizes it doesn't have enough information to make a picture and it either freezes, macro blocks (blockiness) or goes away. So I will never recommend indoor reception or an indoor antenna. So why then does the Silver Sensor work when I am doing demonstrations? It is pretty simple really, the Silver Sensor is a directional antenna where as rabbit ears are omnidirectional. Plainly stated the Silver Sensor receives very well from one direction at a time so in a room where there may be signal coming from all directions, it ignores them and delivers a much less disrupted signal to the receiver than rabbit ears in the same location. Directional antennas also act a little like a satellite receive antenna (dish) in that they tend to gather more of the signal coming in from a specific direction and add it all together. This is referred to as the gain of the antenna and is specified in decibels (dB) which is a ratio. In the case of most antennas, the gain specified in dB is a comparison to the directional antenna and a dipole and guess what, rabbit ears are a dipole. In the case of the Silver Sensor, it has a gain of about 6 to 7 dB compared to a dipole but don't jump the gun, that doesn't mean it is 6 to 7 times better. The way the math and physics work out, the Silver Sensor probably collect about 2.5 times as much signal as a dipole (rabbit ears) and probably as important it ignores signals coming from other directions. That is why it works better than rabbit ears. I have had people say but my rabbit ears have a 10 dB amplifier built in so that should overcome the gain improvement of your Silver Sensor. This is not entirely true because remember that dB is a ratio so an amplifier with 10 dB of gain is taking the signal coming in to the amplifier and increasing the amount of signal by 10 dB. Okay but the amplifier is after the antenna so that the signal that is being amplified in the rabbit ears has already been degraded by all of the items I mentioned above and therefore all you are doing is increasing the size of the degraded signal but the receiver and decoder still can't figure out what the message is no more than yelling at someone who doesn't understand English makes them understand. So I can't recommend an indoor antenna with any degree of certainty because the number of things that will disrupt the service using an indoor antenna are virtually unlimited and constantly changing. I will always tell people to look at outdoor antennas as their best option. I have had a number of people tell me that they are not permitted to put up an antenna because of local restrictions. I would suggest that you follow this web link (http://www.fcc.gov/mb/facts/otard.html) and I believe you'll find that many of those restrictions are superseded by federal rules that in most cases will allow you to install an outdoor antenna, even in rental properties. So you might want to look at antenna reception again. Remember, rabbit ears work great on rabbits but not so well on television signals. Q&A and Screening of Iowa DTV Answers Thursday, August 7 at 6:30 p.m.
Iowa Public Television and the Science Center of Iowa are teaming up to give you answers about DTV! With so much information out there about the universal switch to digital television, many of us are still left with basic questions: Will I need a new TV? Will I still get all the same channels? Why is this happening, and what do I need to do to be ready? On Thursday, August 7 at 6:30 p.m., the Science Center of Iowa and Iowa Public Television will present an information session that answers these questions and more as you prepare for February 17, 2009 when analog TV becomes a thing of the past. The evening begins with Iowa DTV Answers, a 30-minute program that addresses many concerns about the transition. Then at 7 p.m., IPTV Director of Engineering Bill Hayes will answer your questions about digital television. The event will be hosted in the John Deere Adventure Theater at the Science Center of Iowa and is ideally suited for anyone with questions about digital television. Doors for this event open at 6 p.m.
For driving directions and parking information about visiting the Science Center of Iowa, please visit www.sciowa.org and click the “Visiting SCI” link. For all other questions about the event, please contact Jennifer Konfrst at 515-242-3146. Where Did All the Converter Boxes Go? For the last few weeks I have had a number of people at presentations and online mention that the stores in their area don't have converter boxes in stock at this point. This has caused me to do a little market research on my own and I have discovered that there are many stores that don't have boxes in stock and aren't expecting them to be back in stock until next month. This raises a couple of questions. The first is why. I have asked a number of stores about this and they don't seem to have a good answer. Basically what I hear is that most stores were not expecting the volume of demand that they received. While this may be true, it doesn't explain why they cannot get boxes in until sometime next month. The last I had heard these things were being manufactured in huge quantities. I think the real reason is something that I addressed a few weeks ago. It has to do with most of the converter boxes inability to pass the antenna feed through to the television when the box is not in service, like a video tape recorder does when it is turned off. I know a number of manufacturers are in the process of redesigning and recertifying their boxes to include this feature. The redesign is quite frankly pretty minimal so that shouldn't take much time but there is the process of recertifying the box so that it qualifies for the coupon program. This program is administered by the National Telecommunications and Information Administration (NTIA) and I am not sure what the procedure is for qualifying the converters but I know at the Consumer Electronics Show (CES) in January of this year I saw a number of boxes at various manufacturers displays that were all in the process of qualifying and it was almost three months or more until they started appearing on shelves. That leads to the even more important question regarding people who have unused coupons that may expire before the boxes are available again. What can those people do? A number of the stores that I spoke with offered the option of preordering the boxes and using the coupons before they expire. The store would process the sale and then contact you when the box is in. Sadly, none of the stores that I was at had a box setup for demonstration so you could see how it worked to determine if this was the one you wanted so you end up buying blind. I sincerely doubt that you would end up buying a box that didn't work but it might not have all the features that you want. On June 18th, Senator Tom Harkin and a number of others in the Senate sent a letter to the NTIA calling on them to reissue expired coupons. So far, I have not seen any response from NTIA on this. I have also contacted them and asked them what options consumers have and as yet I have not seen a reply. As soon as I do, I will post an update. In the meantime, if you would like to try and use your coupons before they expire, I suggest that you look on-line for vendors that may have boxes in stock. 30-Minute DTV Program June 26 at 6:30 p.m.! (Johnston, Iowa) -- Viewers across Iowa – and across the country – have been inundated with messages about digital television in the past several months. But many Iowans are still left with basic questions – what is DTV? Why is the transition happening? What are these converter boxes? Do I need a new TV? The program will feature real Iowans from across the state dealing with real situations and solutions regarding the DTV conversion. Viewers with questions about the program should contact the Iowa Broadcasters Association at 515-224-7237. For general information about the digital television transition in Iowa, visit www.iptv.org or www.dtv2009.gov. 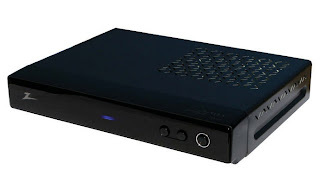 What Digital Television Converter Box is Right for Me? This is one of the questions this is frequently asked by viewers calling the station or attending the DTV information sessions that IPTV is putting on throughout the state. As of this blog entry on June 6, 2008 there are currently 90 different models of coupon eligible converter boxes (CECB’s) listed by the National Telecommunication Information Administration’s at their official information website (https://www.ntiadtv.gov/cecb_list.cfm). I am in the process of acquiring one of each model so that I can test the units and see how well they perform. However, it is not my intent to create grade the CECB or recommend one over the other because from my testing so far, I have found that all of the boxes do what they need to do which is receive digital television, convert it to analog and output it so that an analog television can still be used. Certainly if I find a box that doesn’t do these basic functions I will let the people who read this blog or call the station or attend the information session know that there are problems with a specific unit but so far, I haven’t found one yet that fails to work. So if they all work and there are 90 or so different models out there, how do you pick one? Well, there are a few “features” that I do recommend that you look for but keep in mind these “features” were not required to be included in the CECB but as I have gained more experience with various models I have dealt with a few issues. One of the first features I would suggest looking for on the box is a power switch. I realize that most of us wouldn’t consider the power switch to be a feature but it was not required and I have one box from Digital Stream that works very well but doesn’t have any control switches so everything must be done using the remote control. If you’re like me and you occasionally misplace the TV remote, at least you can get up and walk to the set and turn it on but with this particular unit, without the remote you cannot even turn it on. I’d also suggest that you look for channel up/down controls on the box for pretty much the same reason, if you’ve misplaced the remote you will probably want to be able to change channels as well as turn the box on. Another feature to look for is called “antenna pass through” or “antenna bypass.” You probably already know about this but haven’t really known what it was. If you have a VCR hooked up so that you’re antenna is feeding into the VCR’s antenna input and then another piece of antenna line goes from the VCR to the antenna input of the television you have used this feature. This is what allows the signals coming in from the antenna to continue on to the television even when the VCR is turned off. Very few of the CECB’s (22 out of the current 90) have this feature so when the converter box is turned off, the antenna signals no longer continue to the television. What makes this feature important is that right now, full powered television stations are broadcasting both analog and digital signals and if you want to watch an analog service after installing a converter box, unless it has this pass through capability you must physically disconnect the converter box from the antenna and reconnect the antenna to the television. So is this a big deal after the analog shutoff? It may be, depending on where you live and what stations you watch. Although in February of 2009, all full powered television stations will stop broadcasting analog signals and only broadcast digital signal, there is whole group of television stations call low powered television or translators that may (and many probably will) continue to broadcast analog television services because the federal mandate for digital conversion is only for full powered stations. If you happen to live in an area where there is a mix of full powered and low powered stations, you may want to be able to receive both. The rules for the converter boxes required that they could only receive digital television so the boxes cannot receive and analog signal, including low power so the only way to watch them is to use the analog tuner in the television. Now at some point in the future, these low powered stations and translators will convert to digital operation but until that happens there will probably be a mix of services in many areas. In Iowa, IPTV uses 8 translators to service viewers in the northwest corner, the northeast corner and southeast corner of the state. Even though there is no requirement to convert our translators to digital, we will begin that conversion after the analog shutoff and should be 100% digital before spring. It is our belief that trying to maintain an analog and digital service will be very confusing for the audience and will prevent people receiving the analog service from getting all the additional programming that will be part of our digital multicast services. I think there is some fallout from this feature missing since I have had a number of people tell me that they have visited stores that are now out of converter boxes. What I believe is happening is that a number of manufacturer that are planning on adding this feature have suspended production of their CECB’s that don’t do antenna pass through and are gearing up to begin production and delivery of converters that do have this feature. I have spoken to one manufacturer that has confirmed this and knows that a number of others are doing the same thing. However, there are a number of boxes out there that already have this feature and are available and more will be showing up pretty quick since. Beyond what I have mentioned, I like to tell people that prior to going out and buying the converter, spend some time looking at your current television remote control. This is the user interface that you use the most to watch television. Look at what features your current remote control has that you use. If you ping pong back and forth between two channels like I do when watching football, the control that allows you to flip flop between channels may be important to you. If you’re using an indoor antenna, having the signal strength display as button on the remote control rather than buried in menus may be important. Being able to turn on and off closed captioning without going to a menu may be important to you. What I am getting at is that you should figure out how you watch television and then when shopping for converters, ask to see the remote control and make sure that the features that you want to have quick access to are on the remote. If they aren’t, that doesn’t make the converter box a bad unit but it may not be what you want so pick another one. The whole idea here is for you to be able to continue to watch television the way you currently do so minimize the amount of change you have to make. Good news for over-the-air IPTV-Digital viewers! In response to viewer requests, IPTV now has three digital channels on the air for over-the-air viewers. IPTV-Digital is IPTV’s primary digital channel and is broadcast on the .1 channel (11.1 in central Iowa; 12.1 in eastern Iowa; etc). It features programming that showcases high-definition and other digital programming options. IPTV-Digital first began broadcast in August 2001, and now offers local and national digital programming to Iowans across the state. IPTV-Digital is also carried by many cable and satellite services around the state. Viewers watching via cable or satellite need to check with their providers for channel numbers. IPTV’s analog schedule is now being simulcast on the .2 channel. It features our regular schedule around the clock, including PBS Kids programming weekdays from 6:30 a.m. until 5:30 p.m.
IPTV-Plus can now be found on the .3 channel. Previously it was carried on the .2 channel. On this channel, viewers can watch outstanding how-to programming each day with IPTV Create programs. Monday - Thursdays from 7 - 10 p.m., viewers will have the opportunity to see what potential multicast channels may have to offer in the future. Both the .2 and the .3 channels are only available to viewers who utilize an antenna with a digital television set or an older set connected to a converter box. If you have been holding off on the purchase of a high definition DVD player to go with your new HD television set, the choice just got a lot easier. For a couple of years there have been two competing versions of high definition DVD players available. There is the "Blu-Ray" system from Sony and the "HD-DVD" system from Toshiba. Both manufacturers have been promoting thier products and working on securing strategic alliances with other manufacturers and content creators. Well the battled all but ended on Tuesday, February 19, 2008 when Toshiba announced that it will no longer develop, manufacture or market HD-DVD machines. The HD-DVD format had one ket advantage over the Blu-Ray format and that was that the machines were cheaper to manufacturer. Unfortunately it had the disadvantage of having lower disc capacity which limited the amount of content that a disc could store. Obviously Sony still remembers the lesson it learned in the early video cassette format war where the Sony Beta format lost the battle to the Panasonic VHS format. Comparing the two VCR formats side by side would show that Beta was a better looking format, but the tapes could only hold 90 minutes of content while VHS held 120 minutes. The better video quality was not significant enough to overcome the the advantage that an additional 30 minutes on the tape provided. In the case of the high definition DVD formats, there was no perceptable picture quality trade-off for the additional space. It also didn't hurt Blu-Ray's chances that Sony was able to secure agreements with most of the major movie studios to release content on Blu-Ray while Toshiba only had a couple of studio agreements. Obviously there is a lot more content available on Blu-Ray then on HD-DVD. The final straw was last Friday when Best Buy and Walmart announced that they would only carry Blu-Ray products. I am sure that the HD-DVD content shortage and trying to explain the lack of any significant differences in the technologies were key drivers in the decision to only deal with Blu-Ray. I don't think anyone wanted another 1080i versus 720p debate to muddy the waters. The only remaining issue is what about the existing HD-DVD customer base which include the XBOX 360 game platform. In January of this year, Microsoft indicated that it would be open to supporting Blu-Ray technology for the XBOX and it appears that support offer will be tested. So if you're thinking about a new high definition disc player to add to your HD home system, think Blu. Burlington Public Library - Monday, August 18 at 6 p.m.
Davenport Public Library - Fairmont St. Branch - Tuesday, August 19 at 6:30 p.m.
West Des Moines United Methodist Church - Friday, September 12 at 11:30 a.m.
Johnston Evangelical Free Church - Thursday, September 18 at 7 p.m. Greater Des Moines Volkssport Association - Monday, November 17 at 7 p.m.
Greetings from the Consumer Electronics Show in Las Vegas. IPTV recently started airing some information announcement regarding the federal coupon program for the purchase of set-top DTV converter boxes. Since the program is currently taking coupon orders I have come here to look for the boxes to get an idea on what the consumer will be buying. My first stop was at the LG Electronics booth which was showing dozens of different HD televisions. After unsuccessfully searching for converter I found someone to ask. I was taken to a back room in the LG booth and there was an actual converter. The picture here shows the Zenith DTT900. When I saw the converter I was not able to actually see it in operation because it was not hooked to a television set or an antenna. I did get to look over the physical box. It is quite small, probably less than 10 inches wide and less than 8 inches deep. The back has one antenna input for a digital off-air receive antenna and an analog antenna output that would be hooked to the television. There are also a video and stereo audio outputs for hooking to the video and audio input of a television set. I am told it has a remote control but that was not present however, LG has agreed to send me one of the boxes for testing and evaluation so I will have more information after I receive it and try it out. I can tell you that according to LG, it will sell for $59.95. I next went to visit Samsung to see the box that they will be shipping. After another unsuccessful search of the booth I again found someone to ask about the converter. I was told that they have a box in design but it was not at the show. I later heard from some fairly reliable people that the Samsung box actually failed to meet the requirements of the NTIA program and that they have subsequently pulled it from out of the program I was unable to confirm that information but I will try again. The third and final place I stopped was at the Echostar booth where they were showing the TR-40 digital-to-analog converter. This is another NTIA coupon eligible product and was similar in size to the Zenith unit. The biggest difference in this device was the price. The price of this box will be $39.95 which is $20.00 cheaper than the Zenith unit and perhaps more importantly means that it will be free with an NTIA coupon. I was unable to get much more information or arrange for a unit to be sent to me for evaluation but I will contact them again to try and arrange for a unit. So, although the boxes are not yet available to the consumer, they will be available soon and as soon as I have had a chance to try them out, I'll post the result. In February of 2009, all television stations will cease broadcasting their analog television service and rely exclusively on their digital television (DTV) services. What this means to viewers will vary depending on how they receive their television service. Viewers that subscribe to either cable or satellite services will not see a loss of service as both cable and satellite providers have already stated that they will substitute a station’s primary DTV service for the station’s analog channel on the cable or satellite system. However, viewers that rely on over-the-air reception via a conventional antenna will have to take some proactive steps to ensure that they will receive service after the end of analog television. In order to ensure that no one is disenfranchised by the federally mandated DTV conversion, the National Telecommunications and Information Administration (NTIA) has commission the manufacture of set-top converter boxes that will receive an over-the-air DTV signal and convert them to analog signals for display on existing analog television. As part of the project, the NTIA is also administering a coupon program that will allow individual homes to receive up to two $40.00 coupons for the purchase of these converter boxes. The coupons are only available to private residences and although each residence can receive two, each coupon must be used independently toward the purchase of only approved converter boxes. In short, you cannot combine them for $80.00 off a single box and you can only use them toward the purchase of the approved converter boxes. For more information and to sign up for coupons, visit www.dtv2009.gov or call 1-888-DTV-2009.